We produce approximately 500 million products every year, making us one of the largest purchasers of several raw materials in our sector. How these raw materials are sourced and used can have either positive or negative social and environmental impacts throughout our value chain. We view this as one of the key areas where we can best use our global scale for good. In this regard, we are switching to using lower impact materials where possible and working with partners and our Global Innovation Centers to shift toward lower impact growing and manufacturing practices. Using lifecycle assessments, we identify the areas where we have the greatest potential to reduce the impact of the materials we use. Addressing these impacts across our supply chain not only benefits communities and the environment, but also supports our consumers in their desire to purchase more sustainable products. Watch our brand efforts to use more recycled materials in our products. The large size of our business within our sector means that our actions can produce a broader ripple effect, creating even greater positive impact throughout the industry. 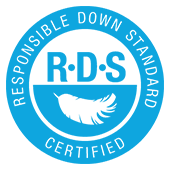 We pioneered the development of the Responsible Down Standard and shared it with the industry to catalyze wider adoption. Take a look at our journey. 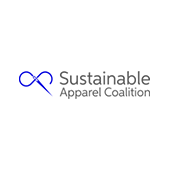 We collaborated with the Sustainable Apparel Coalition (SAC) to scale the Materials Sustainability Index (MSI) as an accepted industry-wide tool to understand and reduce the impact of materials. We developed and implemented stringent internal policies, including the Animal Derived Materials Policy and the Forest Derived Materials Policy to ensure that the materials we source do not contribute to the unethical treatment of animals (i.e., cattle, sheep, geese) or the mismanagement or destruction of forests. These policies also provide our suppliers with a clear baseline expectation for working with us as well as other apparel companies sourcing products from their facilities. 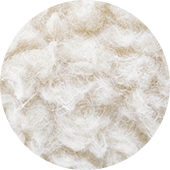 As a result, our Napapijri® brand has committed to eliminating down and fur from its products. We source around 100,000 metric tons of cotton every year, amounting to about 1 percent of the world’s annual cotton yield. There are significant social and environmental impacts associated with cotton cultivation, whether it’s grown in large technologically advanced farms in the U.S. or smallholder farms in countries such as India and Pakistan. This diversity of cotton sources calls for a diverse approach. U.S. Cotton. 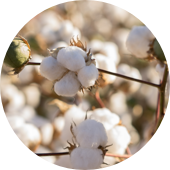 About 40 percent of our cotton comes from growers in the U.S. who use some of the most advanced and efficient growing methods on earth. With the U.S. cotton industry committing to reducing its impact even further by 2025, we will continue to support and purchase cotton grown in the United States. Additionally, we are committed to supporting groups that are promoting sustainable agricultural practices in the U.S., with the Wrangler® brand demonstrating leadership by joining LEEDS, The Nature Conservancy, Carbon Cowboys, and working directly with farmers. Emerging Economy Cotton. In emerging economies, where most of our non-U.S. cotton is grown, we promote existing cotton interventions that have proven successful. In these areas, we are committed to certified BCI, CMIA or organic by 2020. Cultivating Future Farmers. With the average age of U.S. farmers at 58, it is not enough to focus solely on cotton farming practices today, which is why we are committing to educating the farmers of tomorrow to embed responsible practices into the future of farming. Much of the environmental impact associated with leather is connected to the raising of cattle. We are pursuing partnerships with several organizations dedicated to increasing sustainable grazing practices and incorporating technologies that support more effective sequestration of carbon. The Timberland® brand is VF's largest users of leather. 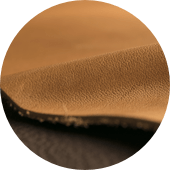 The brand has worked to expand the adoption of responsible practices within the leather industry for more than a decade, including co-founding the Leather Working Group (LWG) in 2005 with other industry brands. More recently, the Timberland® brand committed to sourcing all its leather from LWG Silver- or Gold-rated tanneries by 2021, a goal that we have expanded to include all VF footwear brands. 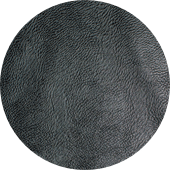 Used to make a number of products across many of our brands, wool, like other animal derived materials, has significant social and environmental impacts. 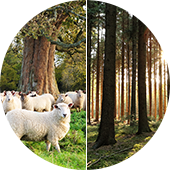 Many of these impacts can be mitigated, which is why 90 percent of our wool is ZQ certified. The ZQ certification safeguards farmers with fair wages and ensures that sheep are treated with respect and unharmed in the wool harvesting process, all while protecting the environment with good land management practices. Learn more about ZQ Merino here. Reducing the emissions of our materials requires creating a value chain that is able to use recycled materials at scale. This can help to substantially reduce our carbon footprint while creating value for VF. That is why we have committed to sourcing 50 percent recycled nylon and polyester for our products by 2025. By transitioning to recycled, we can also have a large impact on climate, water and energy use. We are not only increasing recycled content in our products, but we are also inspiring consumers to feel more connected with these products. One example is the Timberland® brand's partnership with Thread International, whereby it created the Ground to Good program - products made from plastic bottle waste in Haiti. In addition to the environmental benefits, this program has created new jobs and strengthened the connection between the Timberland® brand and many of its consumers. As we make progress toward our 2025 goal to improve the average impact of our key materials by 35 percent, we know that continued collaboration with partners throughout our supply chain and external organizations to promote consumer education will be critical in making sustainable products mainstream in the global marketplace.